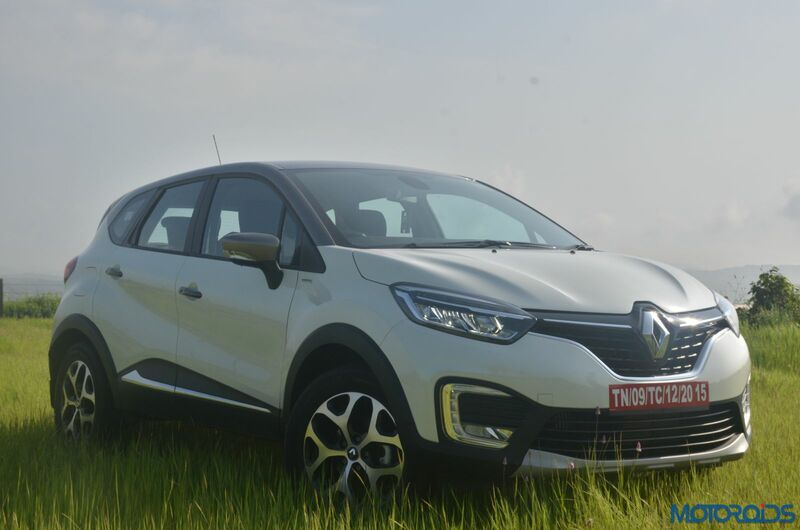 The Captur will be initially offered with the proven K9K 1.5-litre diesel motor which is good for 110 PS @ 4,000 rpm, 240 Nm at 1,750 rpm, and has been paired with a 6-speed manual gearbox. There’s a 1.5-litre H4K petrol option too which churns out 106 PS @ 5,600 rpm, 142 NM @ 4,000 rpm, and is mated to a 5-speed stick. 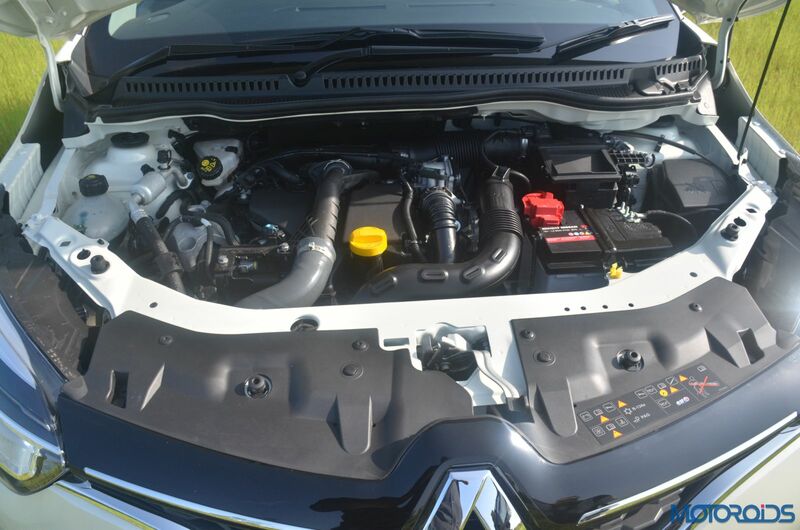 For now, there is no choice of an automatic transmission on either of the engines and Renault has no plans to pair an AMT with the diesel, for they feel it won’t feel at home inside their premium offering. We spent a day with the diesel-powered Crossover and here’s what we came back with. Our driving experience started on a high, quite literally. Because even in its lowest position, the driver’s seat offers a seating position which was too tall for our liking. Although most buyers might like it for making them feel that they’re in a commanding position. While idling and once on the move, ample insulation makes a large portion of the engine’s chatter to stay outside the cabin. 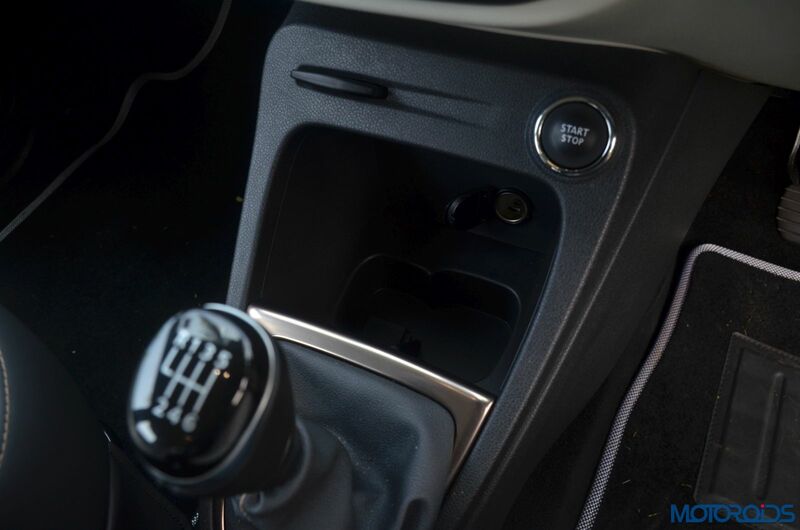 Push the not so heavy clutch with your left foot and as you shift into first, and then onwards, you appreciate the short throws that gear stick offers. However, it doesn’t feel as buttered between the gates which would’ve enhanced the experience further. 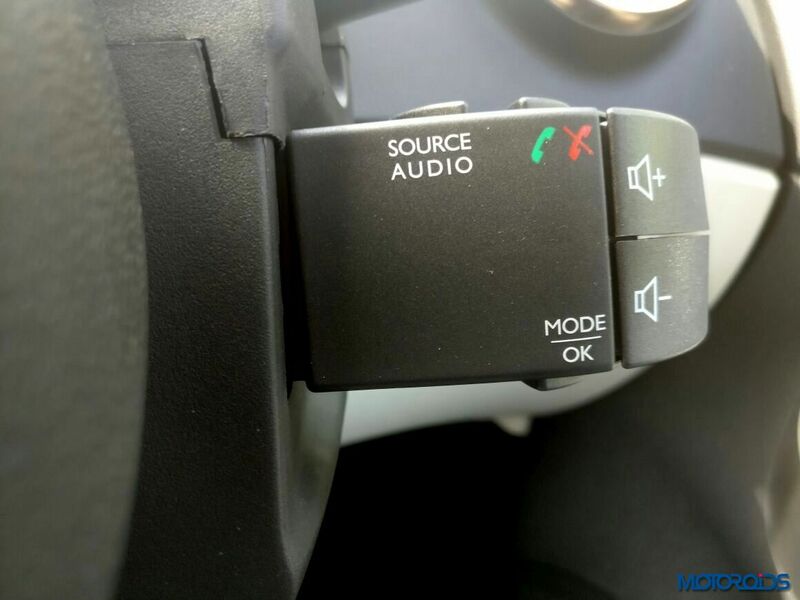 Off the mark, the engine starts building up from the 1,500 rpm mark and delivers its punch at around 2,000 rpm, which is also when you hear a little whistle from the turbocharger. If you keep pushing, it revs quite neatly till its 5,000 rpm limiter, but you don’t really need to do that. As long as the engine is spinning above 1,600 rpm or so, in gear acceleration is strong and feels effortless, courtesy of some really strong mid-range performance. The added luxury of a sixth ratio makes the Renault Captur an able cruiser on the highways. Although, in urban driving conditions, the lack of an automatic option and the not so great bottom end performance could be somewhat unimpressive for some. 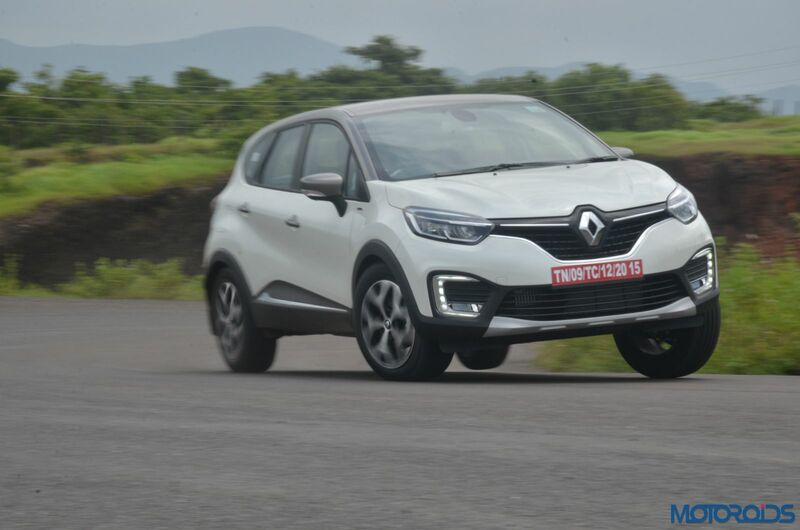 For numbers, the engine spun lazily at an indicated 1,900 rpm in sixth gear as the Captur chugged along at an indicated 80 – 85 kph. From there on, that number climbs effortlessly at a mere dab of the pedal. For those who’ve sampled this very motor under the Duster’s hood in its 110 PS state of tune, initial driveability has definitely improved. 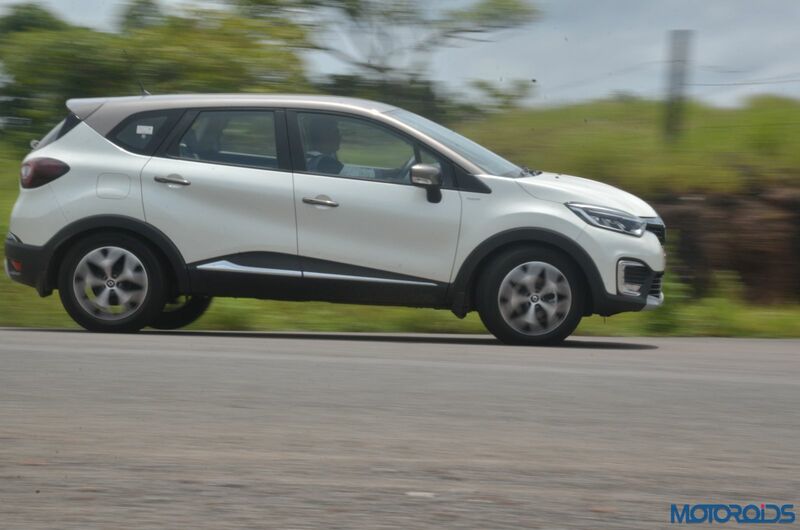 Also, the K9K remains as efficient as ever and towards the end of our experience with the Captur, the onboard computer displayed an impressive figure of nearly 18 kpl. 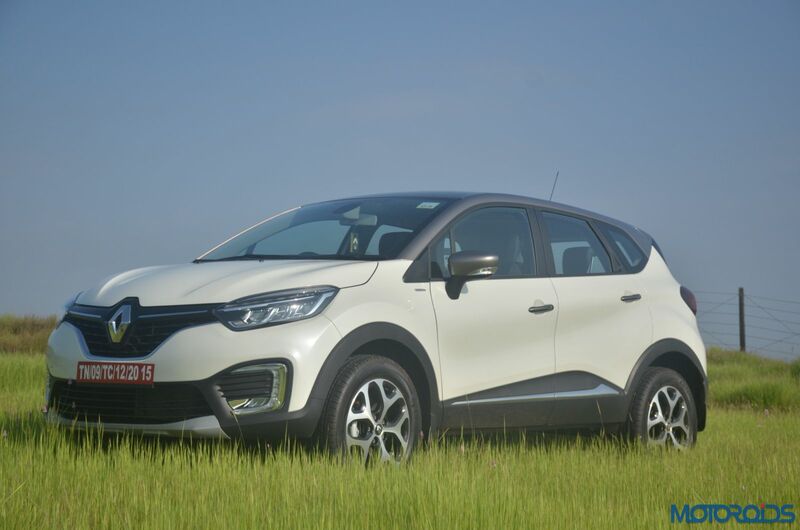 That number can definitely go up and with a 50-litre fuel tank, the Captur can cover quite a lot of distance on a tankful. 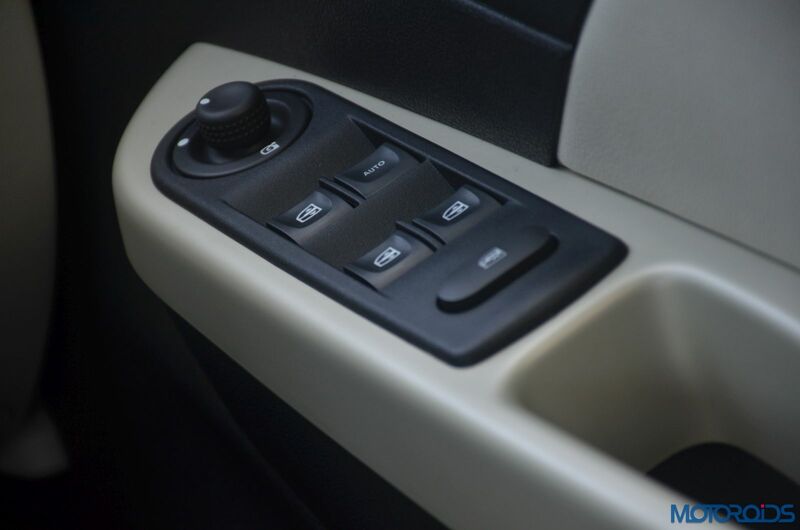 There’s an ECO mode too which can be activated via a switch to save additional fuel. 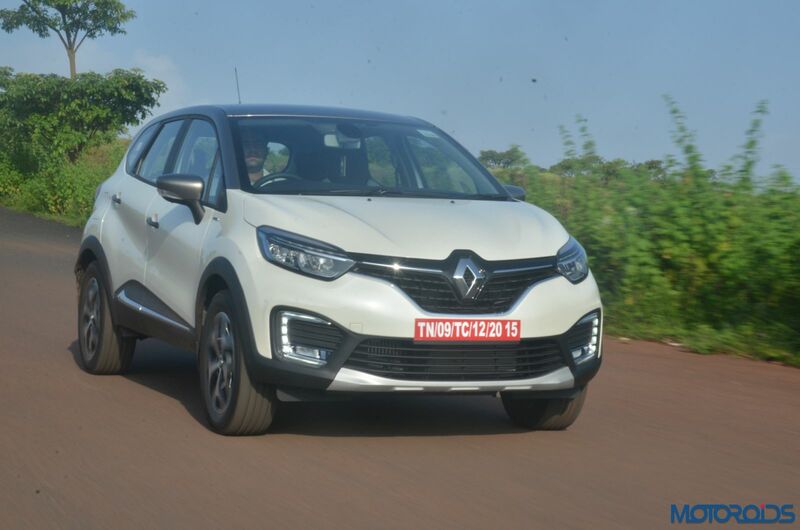 Renault’s newest for India sits 210mm (Unladen) above the ground and for the intent that it wishes to serve, the Captur really shines in that department. Ride quality is fantastic and the crossover simply flattens all undulations as it rolls over them. 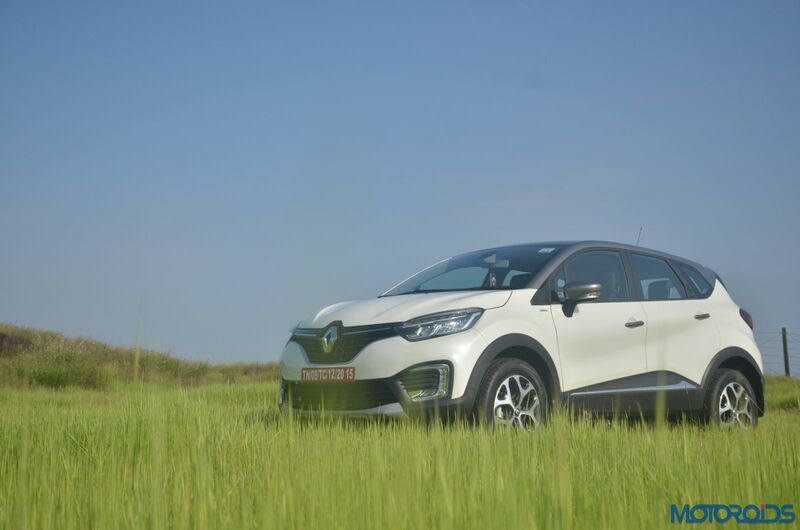 Even at times when we encountered a sudden deep rut at a decent speed and were too late to brake, the Captur simply carried on without unsettling itself or the passengers inside. The trade-off for that massive ground clearance is quite a bit of body roll which creeps in when we attempted to attack corners. 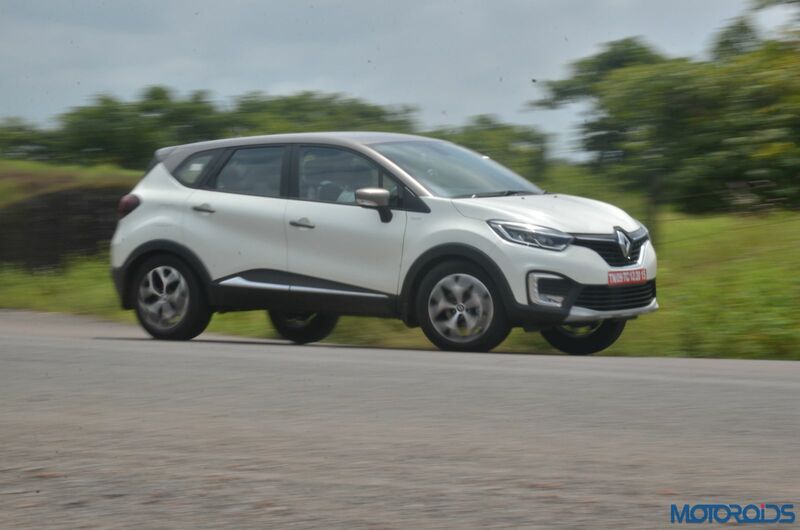 The Renault Captur dips a fair bit to the opposite side if you are aggressive around bends. However, it feels safe and stable in a straight line at high speeds. 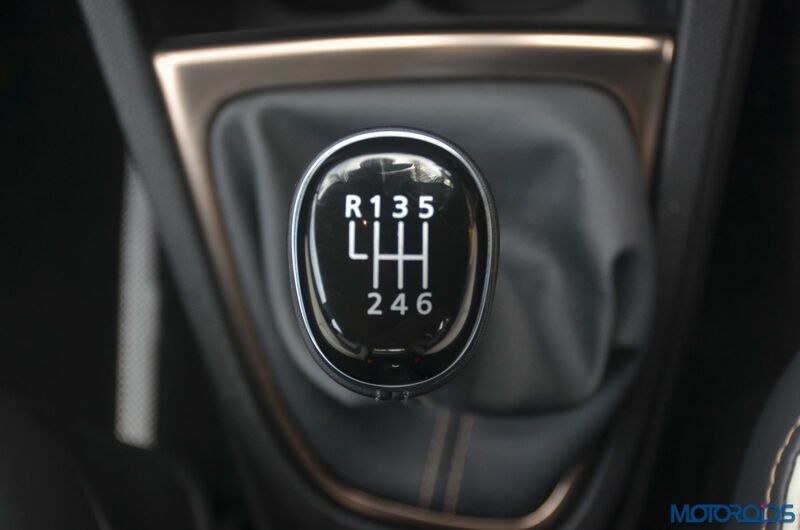 The heavy at parking speeds steering system loosens up as the numbers increase and there is a good amount of feedback which comes back through the wheel. Brakes do their job pretty well, but one has to push the pedal quite deep before any serious bite arrives. 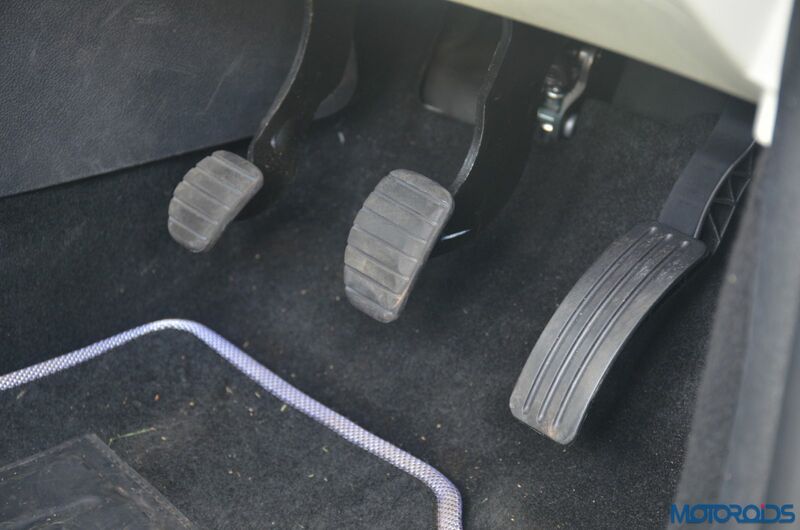 Moreover, the pedal lacks feel and it took quite some time for our right foot to figure out as how much pedal travel is required for the desired braking force to come into effect. Talking about pedals, there isn’t one inside the Captur which acts dead. 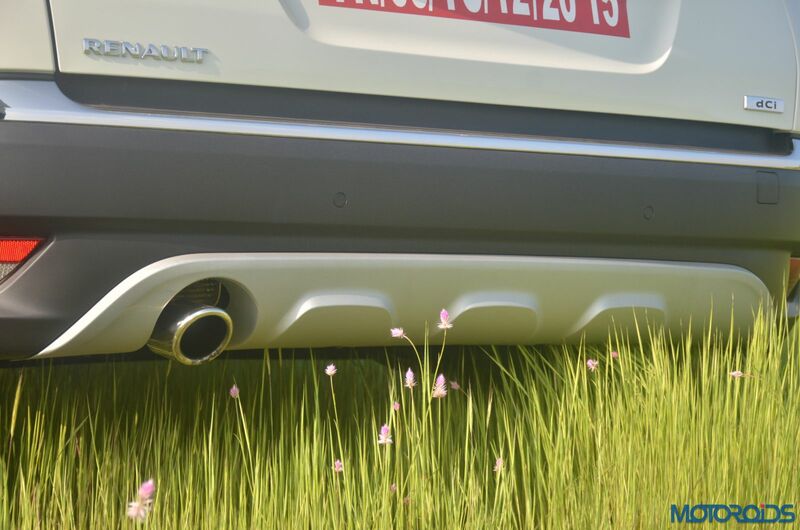 Behind that striking appearance on the outside, the Renault Captur follows French minimalism to the T on the inside. There are modern bits in the form of an analogue-digital instrument cluster which sits inside a butterfly patterned housing and if you love iPhones, you’ll appreciate the Rose Gold detailing around the AC vents and the centre console. 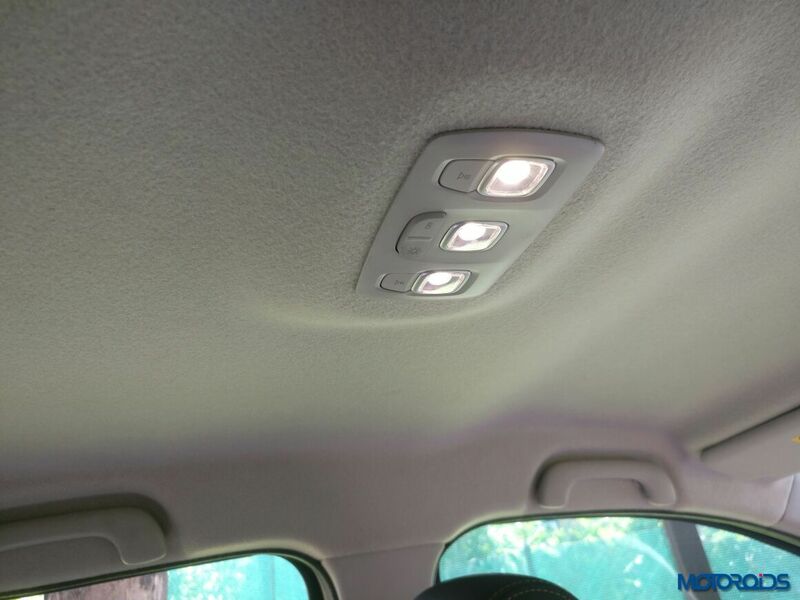 Then there’s the white leather upholstery which is exclusive to this top-spec Platine trim along with LED illumination for the cabin lights which comes as standard. But beyond that, one has to really look for for the feeling of premium to come and hit the senses. Renault has attempted a Yacht like theme for the cabin, à la the Jaguar XJ, where the door pad meets a plastic panel under the windscreen to draw a seamless curve. 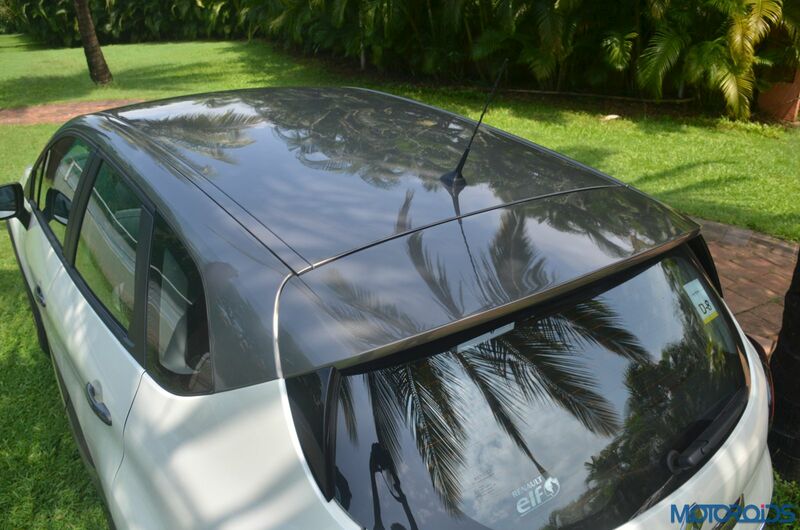 But you don’t even have to look closely to notice the misalignment of plastics under the left A-pillar. Save for the little patch of leather on the door pads where your elbows would rest, the quality of plastics doesn’t impress. 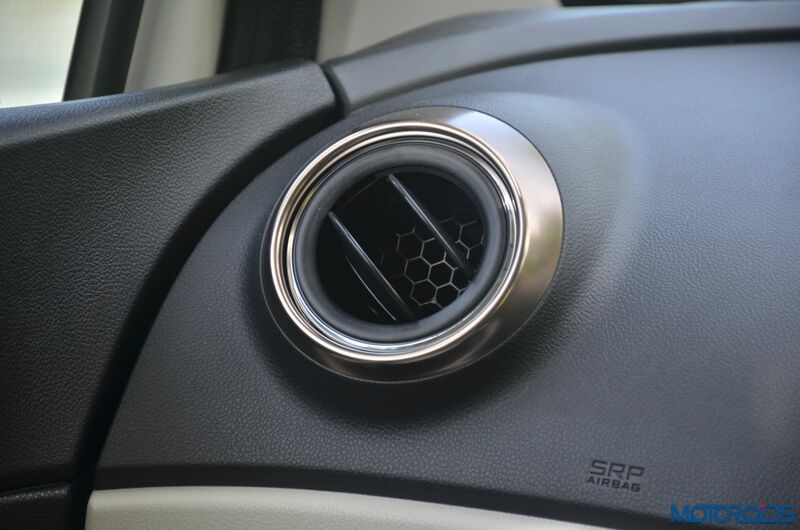 We like how the volume control dial for the central AC vents also shuts them completely. But that’s only visual, as there’s still some amount of air which comes through even after you do that. Then there’s that 7-inch infotainment system which looks rather bare bones and doesn’t benefit from modern technologies like Android Auto or Google CarPlay. Although it comes with in-built navigation, the display easily washes out when it’s bright and sunny outside. Audio quality is punchy but lacks details. 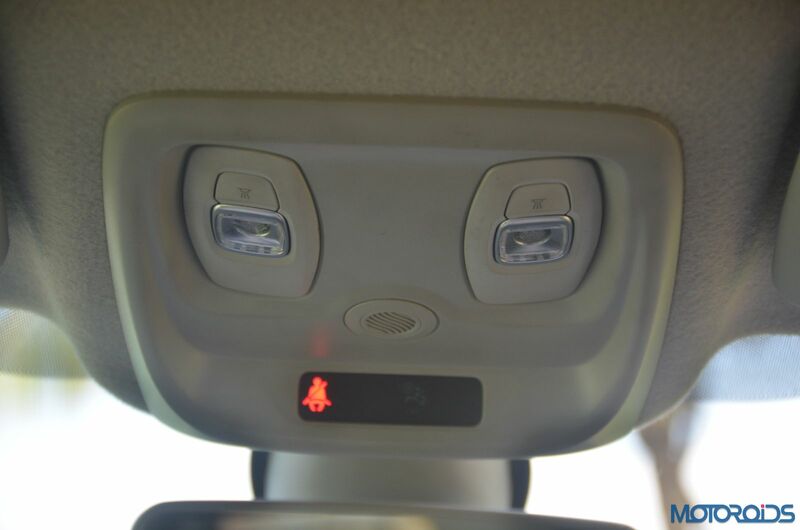 The AC control panel is simple to use, looks modern and the air conditioner itself does a fine job of cooling the cabin. 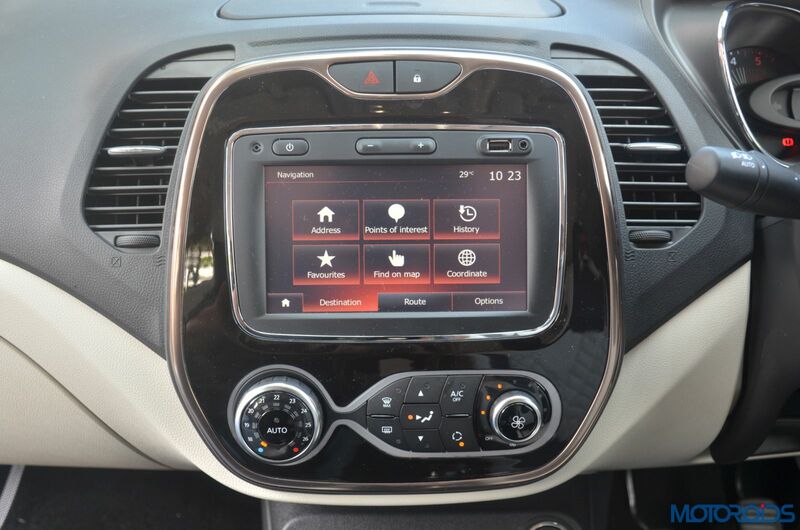 Information about changes made on the panel is also relayed to the infotainment screen. The front seats are really wide and provide excellent all-round support for passengers of all shapes and sizes. Our only grouse is that even at its lowest position, the seat height is too high for tall drivers. 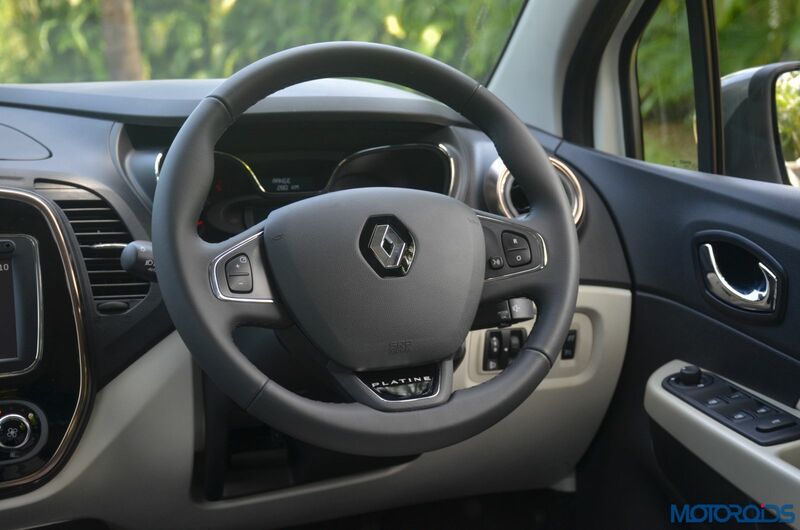 The Duster sourced steering wheel gets Platine badging on the third spoke and is only adjustable for rake. 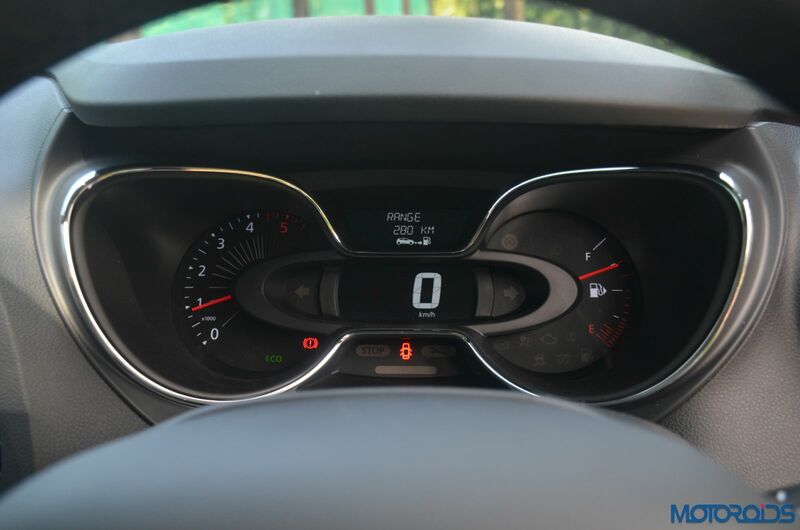 We found the speedometer’s font too bold to our liking, however, analogue reading for fuel and engine speed make up for it. Screens for the trip computer can be toggled through a couple buttons placed at the end of the wiper stalk which sits on the right. 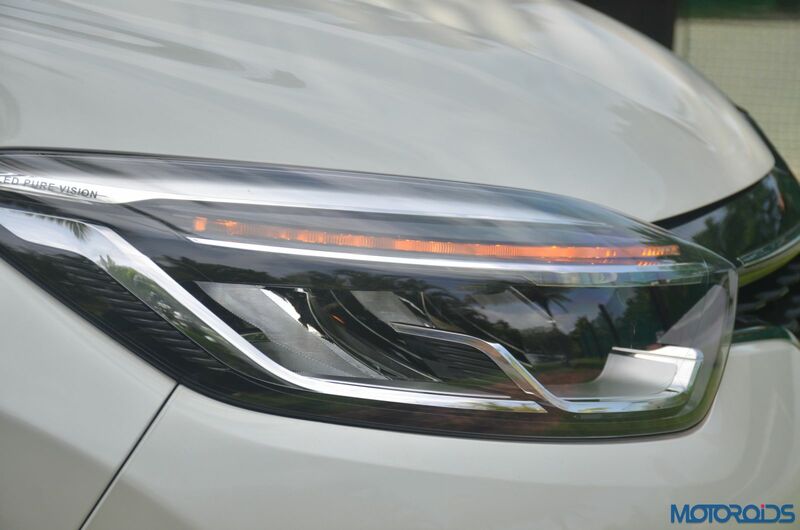 All LED headlamps are standard across trim levels and come with an Auto function. So do the wipers. 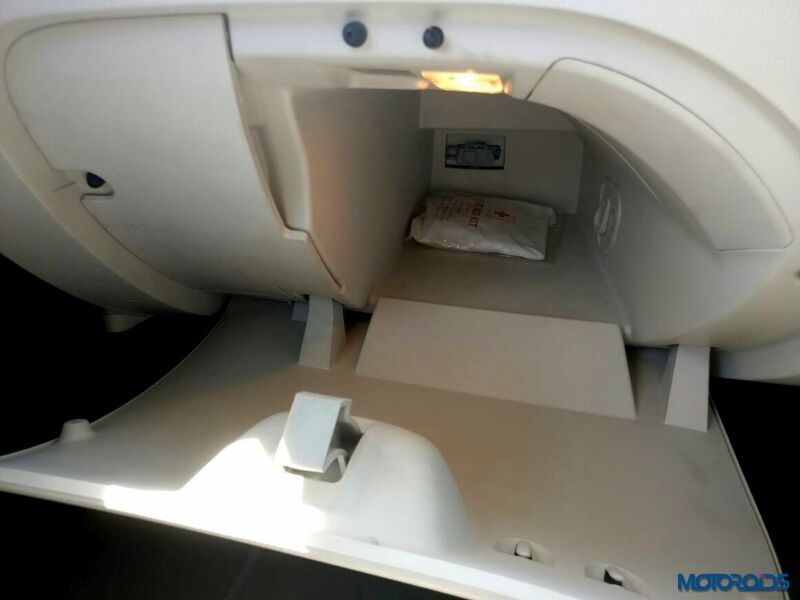 There’s no storage space under the driver side armrest as the rear AC vent sits too high. There’s a cupholder above the gear lever which runs rather deep though and will hold your tall Americano cups rather well. Inside, there’s a power socket to charge your electronic accessories too. But there aren’t any dedicated USB slots to charge your devices except the one which sits without a cover on the audio system. Above that, the start/stop switch sits in an unusual position and next to that is a slot where the smart card rests. It has the same functions as a key fob, it’s just that it won’t bulge out of your pockets. The Glovebox is lit and cooled, however, actual storage space inside isn’t proportional to the lid for reasons unknown. 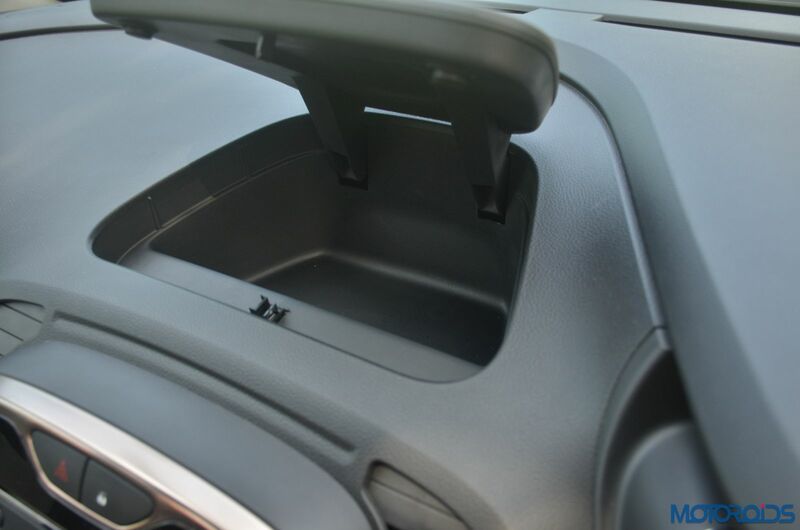 In addition, there’s a push type lid for some storage space in the middle of the dashboard. 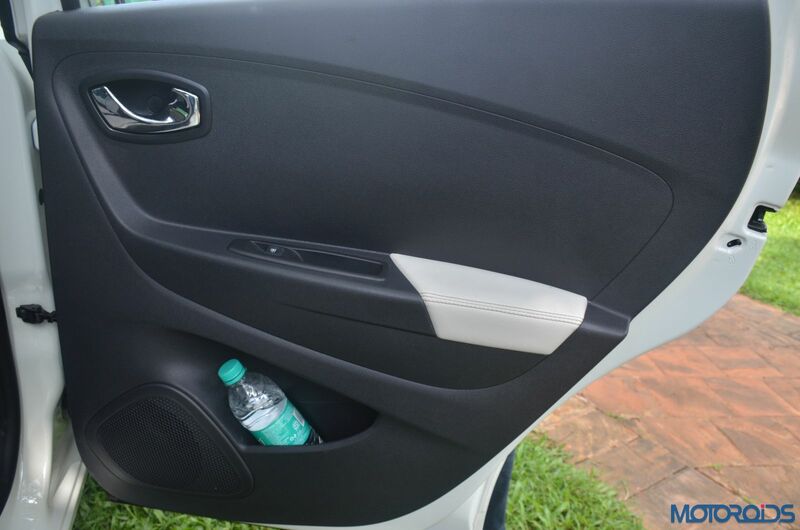 All four doors get bottle holders where the 500ml type stayed comfortably. That space should be able to swallow a bigger bottle too. 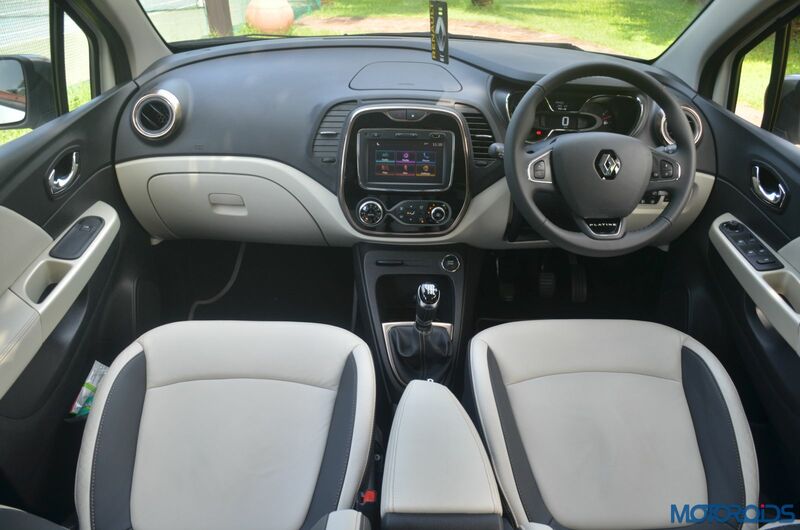 Moving towards the rear, headroom is plenty and the seat itself is supportive. However, legroom is just about adequate if someone is tall and the shin area rubs against the bottom of the front backrest if you decide to stretch your feet. There’s a central armrest with in-built cupholders though and two ac vents to keep things cool. The rear parcel tray is massive and thanks to the addition of a quarter glass near the D-pillar, things are cheerful at all times. Even here though, there aren’t any USB outlets and the only way to feed power to your device is via a lone power socket placed behind the left headrest. Boot space at 392 litres is adequate and can be expanded further by tumbling down the rear backrest which releases 1352 litres of space. The backrest doesn’t split in a 60:40 ratio though. Safety on the Renault Captur comes in the form of a reinforced structure, dual front and side airbags, ABS with EBD and brake assist, ESC and Hill Start Assist. Renault is offering a host of personalisation options with the Captur, where potential buyers can pick between two themes – Diamond Deck and Urban Connect. One can pick between a wide range of dual tone body shades and add-ons which come in the form of chrome embellishments, illumination for the footwell and scuff plates, roof decal designs, designer patterns for the ORVM housing and more. 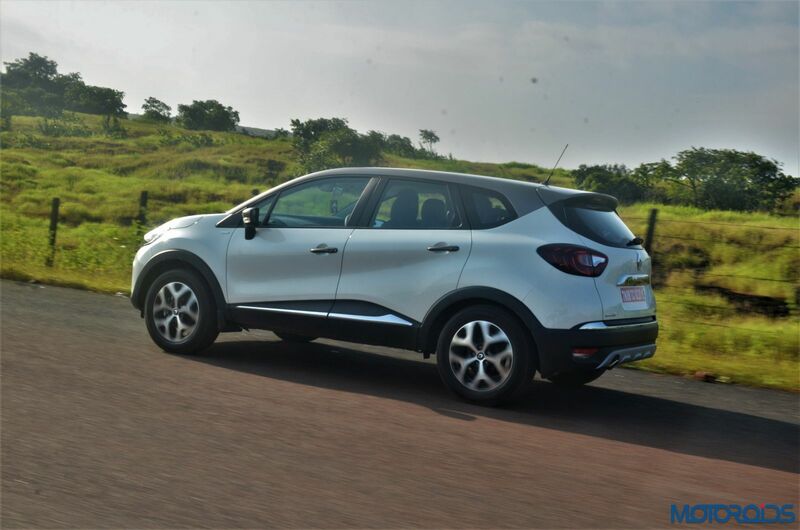 The Renault Captur is a handsome crossover which certainly has the presence by the virtue of being the longest and the widest in its class. It stands really tall off the ground, yet, manages to look chunky, thanks to those oversized wheel wells, all-round cladding, and satin finished faux skid plates at the front and back. 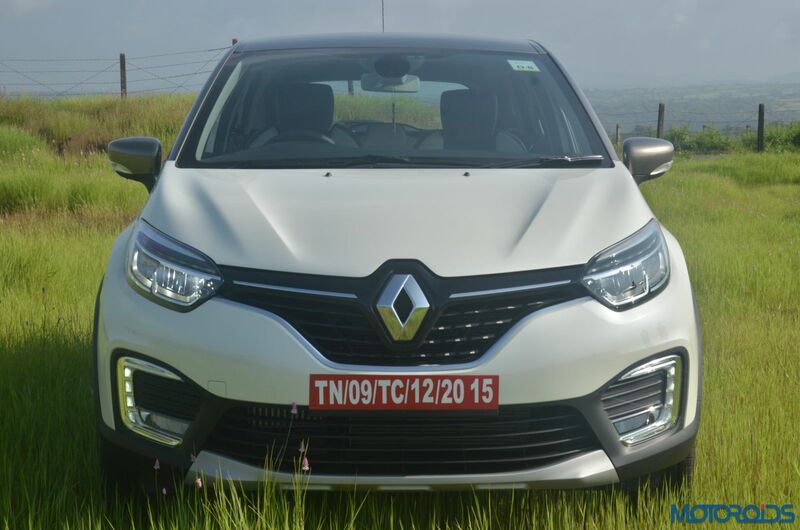 Aggressive creases on the bonnet aside, what stands out along with the big Renault logo in the middle is all-LED illumination which is standard across trim levels. 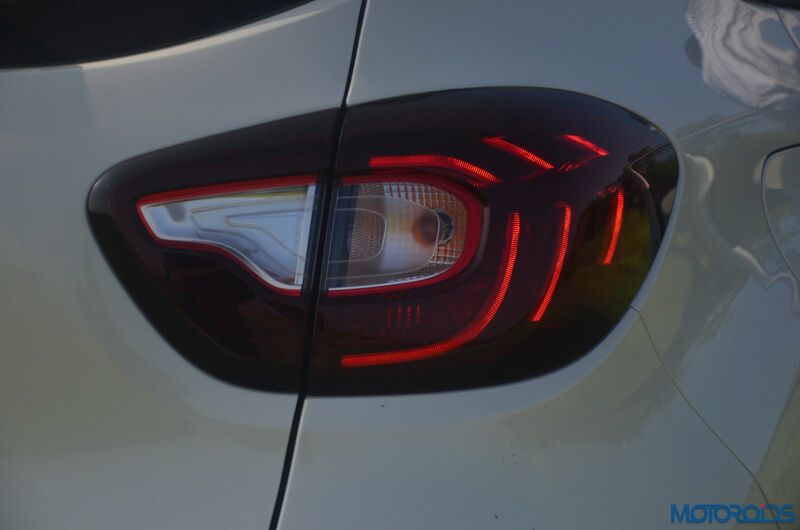 Smart looking C-shaped highlights at the bottom of the bumper include 3 vertically stacked LED DRLs and foglamps which get cornering function. 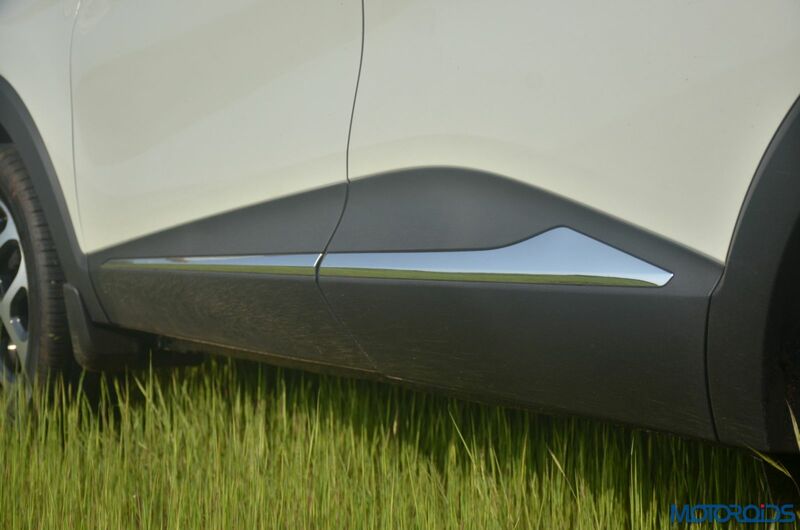 Sideways, the wheelbase is underlined by a chrome strip which runs through the cladding that spikes up in the centre to match the triangular treatment for the D-pillar. 17″ wheels are wrapped in 205/60 section rubber and they do well to fill the rather large wheel arches. At the rear, there’s an integrated spoiler which is painted in the same shade as the roof and the ripple effect for those LED taillights looks rather cool. The stop lamp is a conventional bulb though. 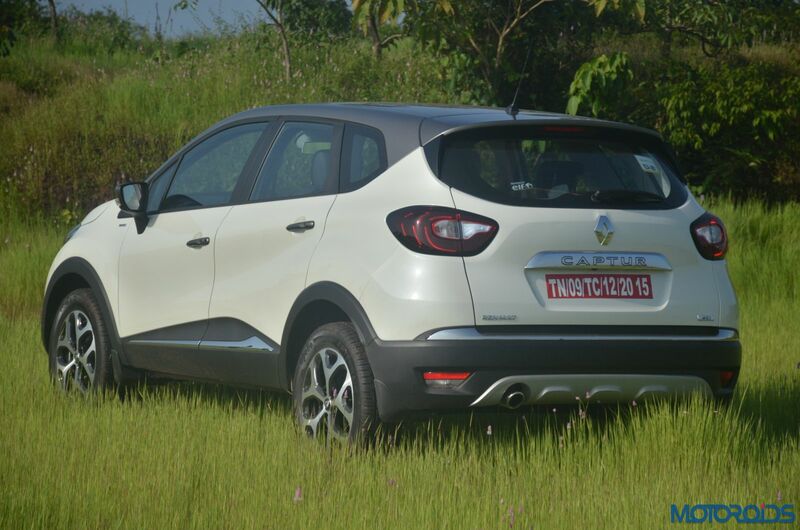 Overall, the Captur manages to look very current and gets half its job done by the virtue of its appearance alone. Because you probably don’t like the Duster’s honesty and there are too many Cretas on the road already for you to buy another one. 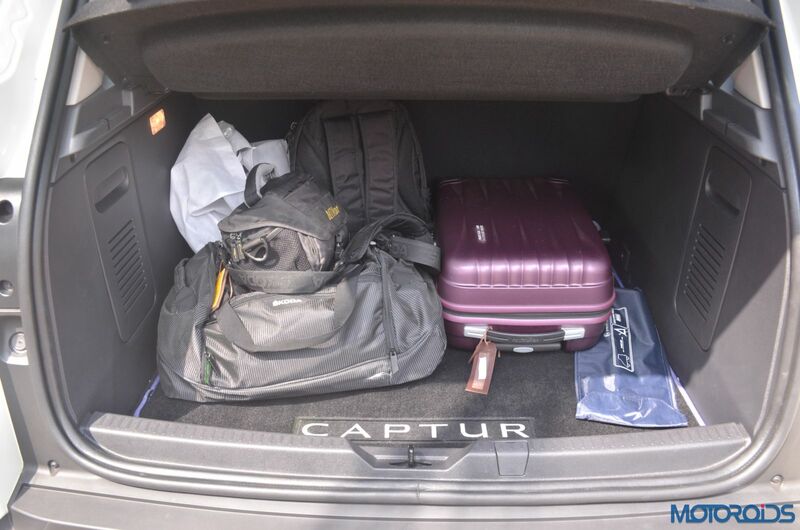 The Renault Captur looks great and carries forward the Duster’s USPs of being a mechanically strong product for they both share the same platform, engine and a few other tidbits. 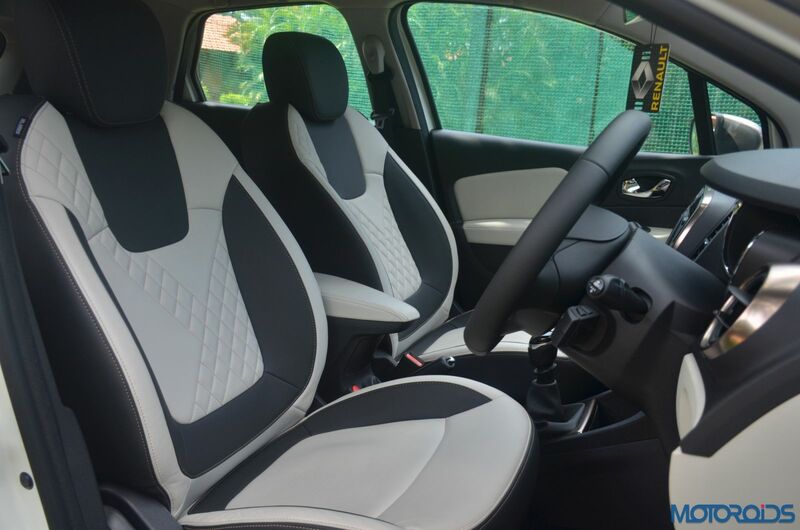 However, for being a premium product, the Captur’s cabin doesn’t carry all that’s needed to pack a sucker punch against its better-equipped competitors. Unfortunately, a product can be as robust and accomplished as it wants to be. 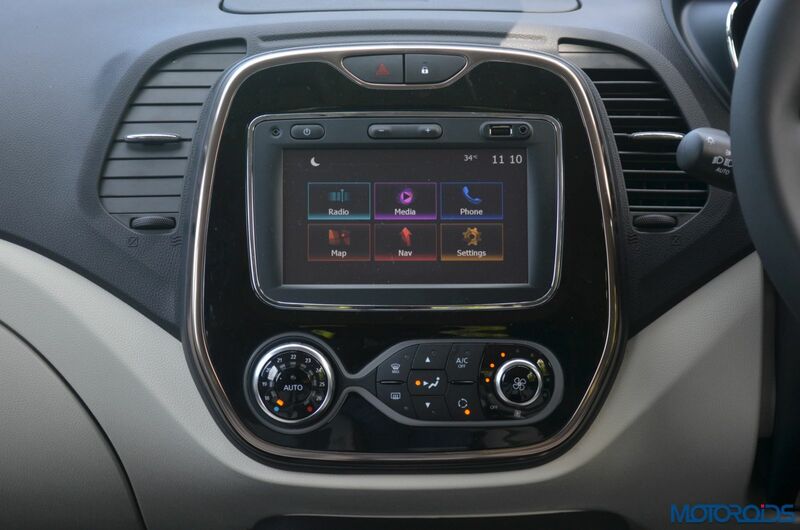 But the absence of even a rather inconsequential technology like Android Auto or a crisp infotainment screen can be a deal breaker for many. 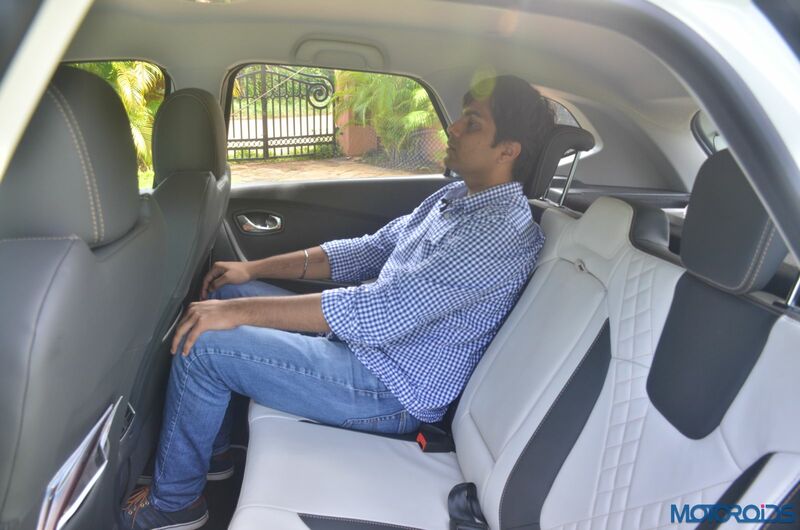 Novelty is appreciated and that is just the reason why something like the Verna has borrowed the Elantra’s ventilated seats to boast about a segment first feature. 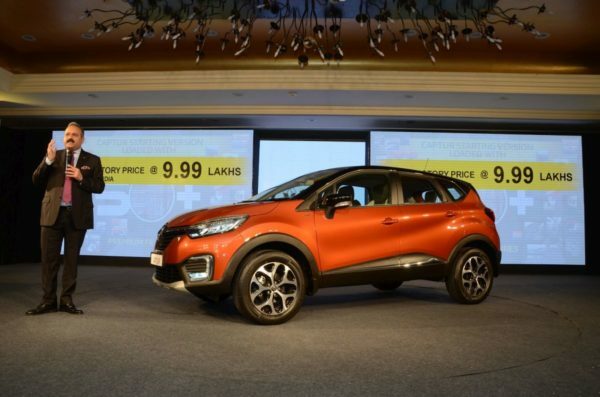 On the other hand, where a chunk of sales in this segment are shifting towards the convenience of automatics, surprisingly, the Captur lacks that option. 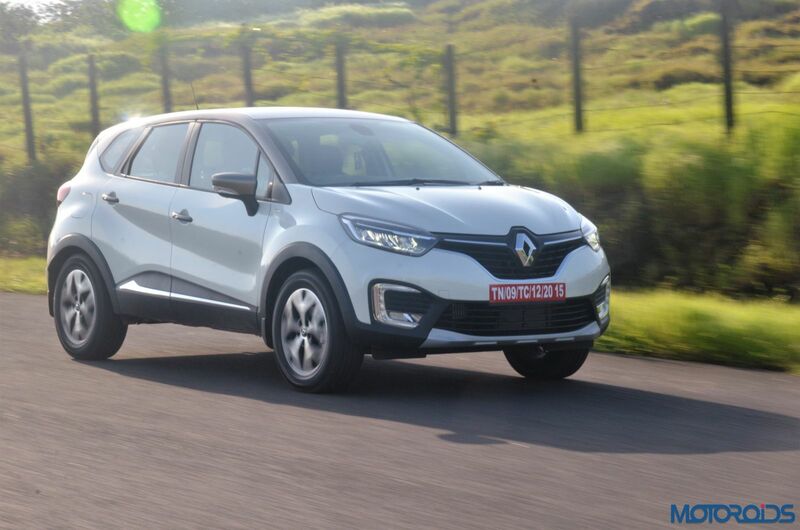 What Renault did tell us though is that their newest will be priced to surprise and that could be the Captur’s ace card against its rivals. 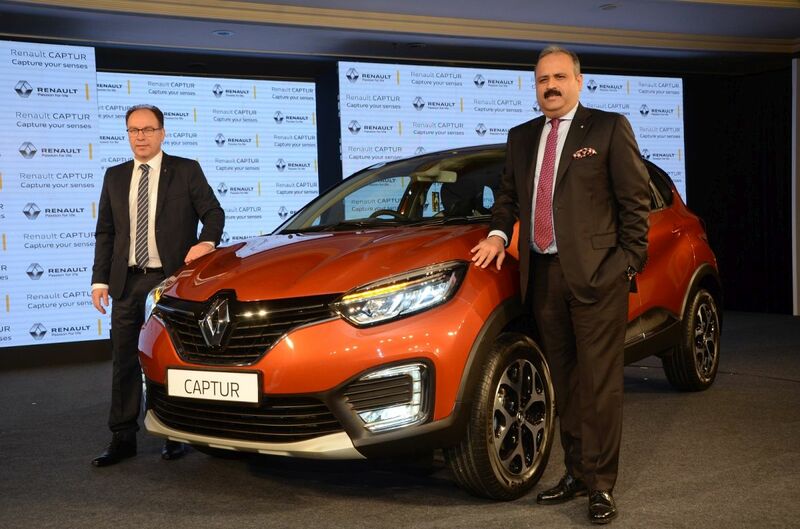 The Renault Captur will be available with more than 40 personalization categories. The company will offer seven dual tone combinations including Cayenne Orange body with Mystery Black roof, Pearl White body with Mystery Black roof, Mahogany Brown body with Mystery Black roof, Cayenne Orange body with Marble Ivory roof, Mahogany Brown body with Marble Ivory roof, Pearl White body with Planet Grey roof and Mahogany Brown body with Planet Grey roof. The five monotone body colour options for the Captur includes Cayenne Orange, Pearl White, Planet Grey, Moonlight Silver and Mahogany Brown. 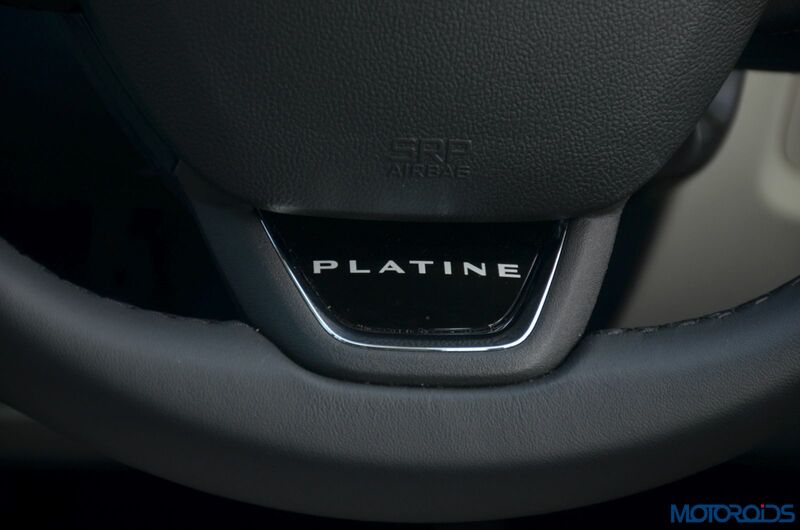 Inside, the Captur Platine is designed with white and gold interiors and customers will have options of anodized blue pacifique or rouge passion accents on the air vents and center console in the RXT variant. Also on offer will be 16 different roof decal designs. 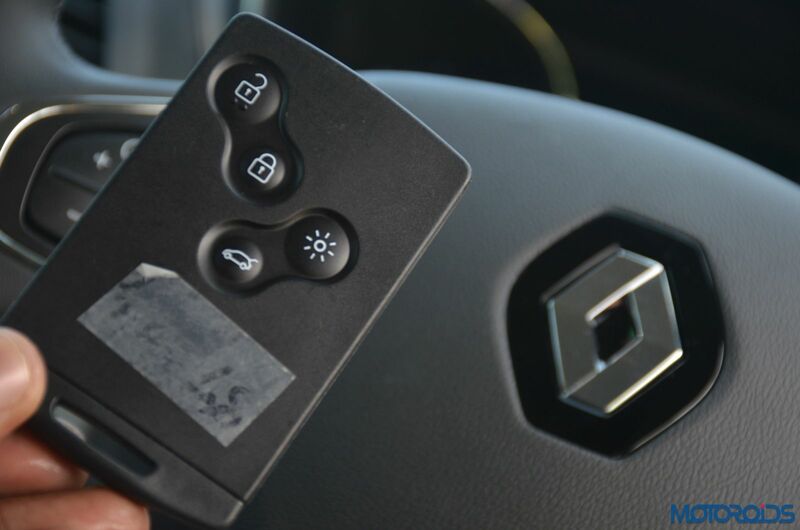 Renault will also offer two themed personalization packs – Diamond Deck and Urban Connect, which are the result of a collaboration between Renault’s design studios in India and France. All these personalization options are further enhanced by more than 120 aesthetic and utility add-ons like chrome embellishments, smart lighting enhancements, illuminated scuff plates, roof decal designs and designer mats.